A budget airline dictated that I had to pack all my (unplanned) wardrobe into hand luggage so had to restrict shoes, toiletries and evening wear. On arrival at Florence airport we stood in the early evening sun awaiting the flat fare taxi (a very reasonable 20€ + 1€ per luggage item), passed a piece of paper with the address and were whisked away to the heart of the city. Our accommodation was booked through Air BnB and was exquisite. I am not exaggerating – those boys done good. Owned by an architect, the contemporary 2nd floor duplex apartment in the heart of Florence, beautiful linens, crockery, artwork and coffee table books with views from its rooftop terrace towards the Duomo. I coveted every single carefully curated item in our rented home, right down to the super stylish linen tea towels – there was not one item that would not have tickled the tastebuds of even the most critical aesthetes and the location perfect. There are 72 museums in Florence, 73 if you include Museo Gucci. You will have to visit Florence many, many times to see all of these museums – but be sure to visit at least one during your stay. There are various ticketing schemes to avoid queues and save money. Use these. Standing in the heat of the day to queue for museum entry is energy sapping and wastes valuable discovery time. The first Sunday of each month, all National galleries have free entry so if you are prepared to be up early, join the queue as early as possible (check opening times). We arrived at the Uffizi as it opened at 8.15 on a Sunday morning but the queue was already winding back to the river. 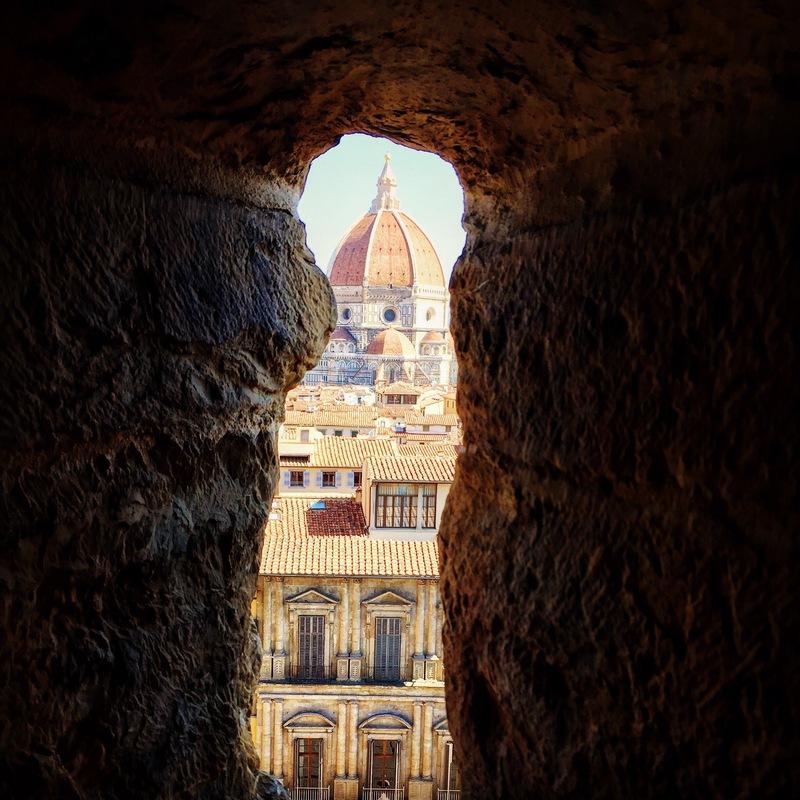 Instead we headed to Palazzo Vecchio, a beautiful Medici home with breathtaking artworks and a stone tower that once climbed offers 360 degree views over Florence and towards the Tuscan hills – you need to purchase a separate ticket for the tower and the climb is long. Not for the unfit or claustrophobic! Food will be covered in a second post, but it goes without saying the food was incredible. I could wax lyrical about the coffee alone. There are unspoken rules on coffee drinking in Italy. Nothing with milk after 11am, unless you want to look like a tourist (heaven forbid!) and to avoid a steep price tag, drink at the bar – a delicious pre-11am latte was only €1.50 and we (almost) felt like locals. An over indulgence of espressos on arrival night left me wired and staring at the intricate tiled ceiling of our residence counting Florentine sheep until the early hours!